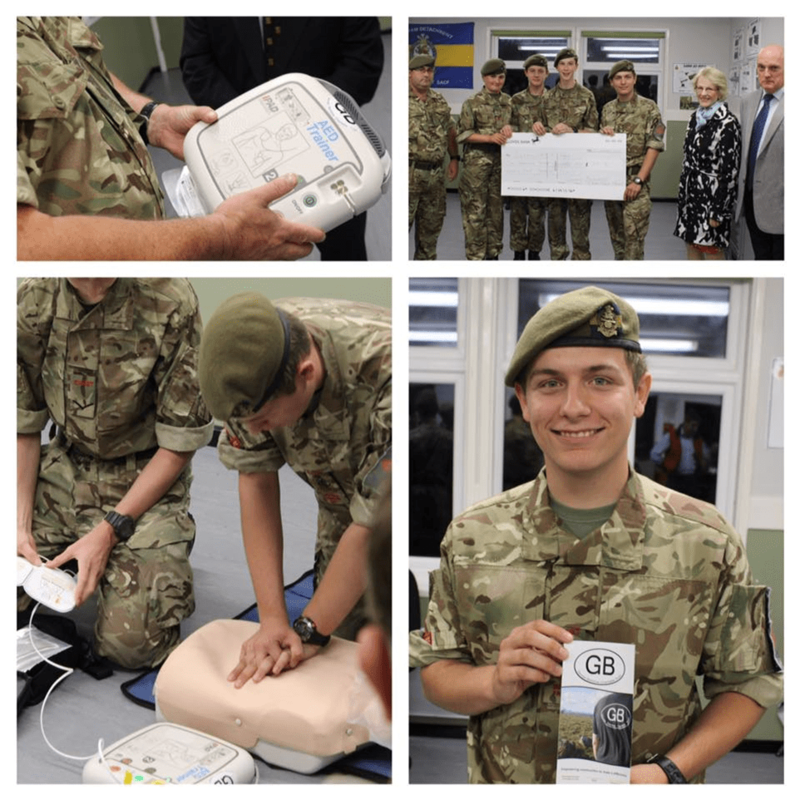 The Surrey Army Cadet Force, Prince of Wales Royal Regiment Battalion, received a £1400 grant from GBCT earlier in 2016 to purchase four AED (Automated External Defibrillator) trainers to support delivery of full AED training. Vivian and Maria Bairstow were delighted to visit the Battalion to present the GBCT cheque and see the first cadets, of 650 in the Battalion, learning new first aid skills. GBCT Trustee Ian Cressey attended the launch of the Great Western Air Ambulance Charity’s (GWAAC) new community training initiative, Great Western Heartstarters, on 12 October to see the GBCT supported training kit being put through its paces by Dr Johannes von Vopelius-Feldt, chairman of GWAAC’s Heartstarters Committee. Presenting the GBCT cheque, Ian commended GWAAC on their work and explained how pleased GBCT were to be supporting GWAAC, because George himself had championed the British Heart Foundation’s Heartstart course whilst at Durham University. George was a key member of the Durham University LINKS Society that trained many hundreds of students. The Parish of All Saints in Weston, Surrey, has now received its AED from the British Heart Foundation. GBCT have previously awarded a grant that will enable a member of the parish team to attend a full first aid and AED training course. The parish will run monthly CPR sessions for members of the local community to familiarise them with the AED and relevant first aid skills. Experienced GBCT volunteers will also be on hand at some of these sessions to support the newly trained first aider in delivering the sessions. The chain of survival following a cardiac arrest depends upon CPR being started early and the quick arrival of an AED. The growing network of GBCT supported AED’s in England is a key part of this chain, as is the outreach work that GBCT volunteers complete. In the Brompton area of North Yorkshire alone, GBCT has now supported five AEDs (see new grants). In an area where the nearest hospital is 10s of minutes away, these AEDs could become a key link in the chain of survival. GBCT’s outreach work, which aims to familiarise communities who receive GBCT grants with first aid skills and / or their new AED has recently received a boost thanks to a grant from Exxon Mobil. GBCT has received a £1000 grant through their Employee Volunteer Programme, in recognition of Ian Cressey’s role as trustee of GBCT. The grant has been used to purchase an AED trainer and CPR training manikins. Trustees Matthew Leopold and Ian Cressey used the new equipment for the first time during a talk about GBCT and first aid skills at George’s old school, Woodcote House. Nick Paterson, GBCT trustee and a teacher at Woodcote, describes how the boys really enjoyed an instructive and entertaining evening, even if they did get a bit loud practising the ‘Shout for Help’ part of DR ABC! The enhancement of skills among young people is the aim of Toynbee Hall’s Make It! youth programme in London’s East End. Toynbee Hall works ‘on the frontline in the struggle against poverty’ and its Make It! programme is designed to break the cycle of poverty by empowering young people (aged 12-13) to make positive life choices. The core aims are to: increase confidence, social awareness and wellbeing; cultivate the ability to think critically; develop teamwork skills; and improve engagement with school. The aims are achieved via a mentoring programme and end of year residential trip. GBCT is providing a grant of £3400 that will enable Toynbee Hall to work with a community kitchen, Made in Hackney, during the residential trips to teach the 70 young people how to cook heathy food. 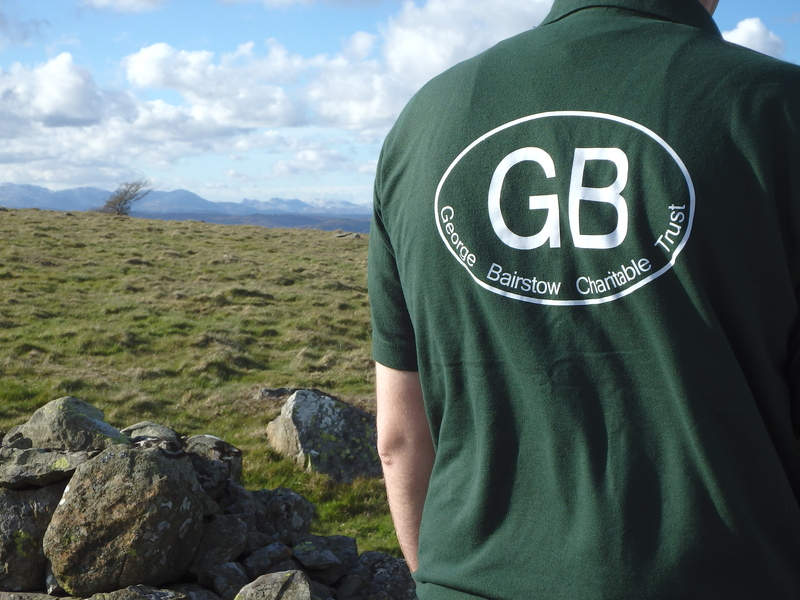 To encourage youth volunteering, GBCT is supporting the Cumbria Youth Alliance with a £1000 grant to fund five places on a residential volunteer training course, that will equip five young people with the knowledge and skills they need to be highly effective volunteers at community youth groups in the region. The Alliance’s research shows that 75% of Cumbria’s 200 groups are concerned about their ability to maintain services due to a lack of trained volunteers. The new volunteers will be given an introduction to youth work, as well as training in first aid, health and safety and safeguarding. GBCT is specifically supporting the residential training programme, as this is the most accessible for young people and a key enabler to youth volunteering. We forward look to sharing updates from the GBCT supported volunteers, as they complete their training and begin volunteering. The provision of emergency aid continues to be supported by the expanding network of GBCT supported AEDs. The two latest AEDs will soon be operational in the North Yorkshire villages of Foxholes and Butterwick. GBCT have made a grant of £1000 to match funding already secured by the community, who will work with the Yorkshire Ambulance Service to commission the AEDs and arrange first aid training for local residents. October marked ten years since George arrived at St Aidan’s College, Durham, as a new undergraduate. 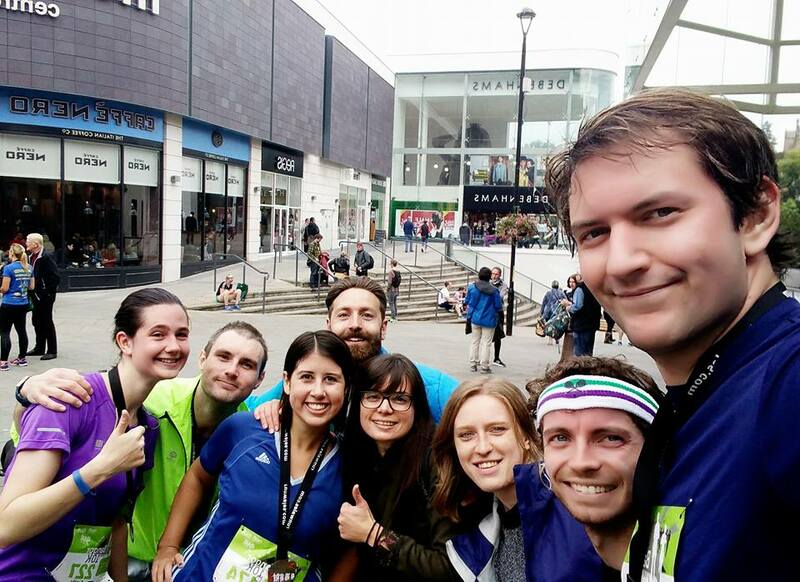 In gathering to celebrate ten years of friendship, George’s friends from St Aidan’s College in Durham, ran a sponsored 10K in Bangor on Saturday 1 October in memory of George and his friend Peter Lent. Fundraising in aid of GBCT and the British Heart Foundation the team raised a total of £677. Our thanks to the team and their supporters, who are Emily and Will Webster, Natalie Dos Remedios, Chris Heath, Natalie Cornish, Kinga Roszkowska, Tim Sanders and Michael Hutchinson. GBCT would also like to say a huge thank you to the students at South Hampstead High School who have raised £1000 for GBCT. In making the donation, Sandrine Paillasse, Acting Headmistress and St John Ambulance MRT volunteer, described how the school’s Year 10 pupils were keen to enable other young people to learn first aid skills, after GBCT volunteers visited and ran a skills session for them earlier this year. Thank you! GBCT would like thank all of our supporters, and we look forward to sharing news on the new grants, that you’ve enabled, in future newsletters. We are always keen to hear from communities who may benefit from a GBCT grant. If you believe your community may benefit from a GBCT grant, or know of one who might, please visit our website where you’ll find our Grant Application Form. Applications are considered by the Trustees every 2 to 3 months. Successful grant applications must meet one, or more, of GBCT’s three aims. If you have any questions, please get in contact with us via info@gbct.org.uk.